Collins Solicitors is a law firm based at the Black Sea coast in Sunny Beach, Bulgaria. Our team of highly qualified solicitors and paralegal are here to deliver a first class service in different areas of the Bulgarian and International law. Needing any legal professional assistance in Bulgaria? Being based in one of the most popular resorts for property investment, the goal of our team is to make your property transaction in Bulgaria run as smoothly and as stress free as possible. Our solicitors and paralegal deal with all aspects of property law including convincing (sales, purchases and other transfers of real estate and real property), deletion of mortgage and other burdens, wills, inheritance, property dispute resolution, property development, zoning and land use and various other relevant topics. We are versed in many different activities, from drafting of preliminary contracts, Title deeds, Power of attorneys and Declarations, Wills, Gifts, etc. to handling boundary and zoning disputes. Contact the best lawyers in Sunny Beach. Dear Daniela, I would like to thank you & your team for your help in selling my property in Sunny beach. You were so professional, efficient & helpful I would definitely recommend you to anyone buying or selling property in Bulgaria or any other legal work. Daniela Collins acted as my Solicitor in selling my Apartment in “Bulgaria”. Sunny Beach. She was very Efficient, Helpful, Confident. And the Apartment was sold without a hitch. Also It was completed in a short time compared with Solicitors in the UK. I would recommend her to anybody who wants a good service. Daniela made the process of selling our Bulgarian holiday home very smooth and easy without us having to leave the UK. 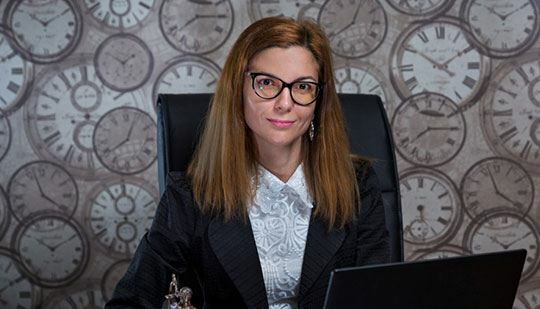 She provided our UK based Notary with all of the information needed in good time and was always on hand to answer any queries we had and ease our concerns. All in all it was done in a very timely and efficient manner. I would like to give you formal feedback on how you and your husband Ben executed the marketing and sale of our property in Bulgaria. I found both you and Ben to be both courteous and totally professional in all your dealings with us as vendors. The process was seamless from start to finish and stress free from our point of view. I would say that provided the seller is realistic in their expectations of the value of the property then there are no better people to act on your behalf, as both worked hard from the outset and concluded the processes in short time. Any legal issue with your property in Bulgaria?